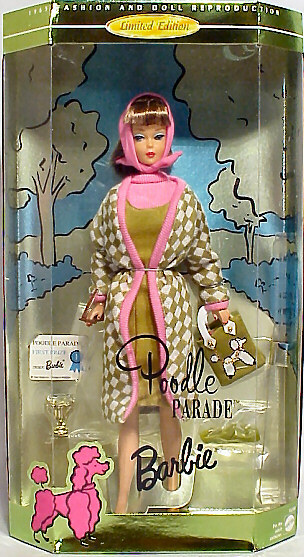 This is a 1996 reproduction of an American Girl Barbie Doll wearing Poodle Parade #1643 (1965) , one of Barbie's harder to find ensembles from 1965. 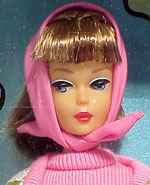 This was the first American Girl reproduction by Mattel. The ensemble includes all of the pieces and accessories from the original vintage ensemble. This doll is not one of the most plentiful reproductions on the secondary market, but is still fairly easy to find.